New changing rooms which have been created out of the former workmens’ hut at Larsens playing fields have been officially opened by Waltham Abbey Town Council. The transformation, with the new facilities including two changing rooms and showers, was made possible thanks to a £20,000 grant from Essex County Council’s Community Initiatives Fund. 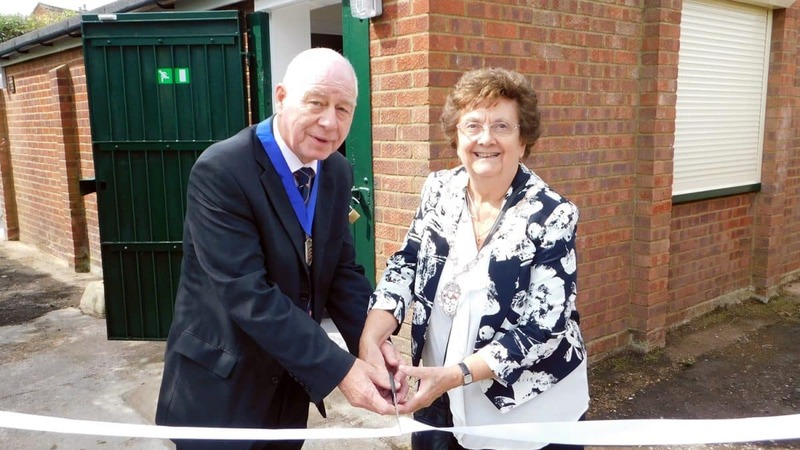 The facilities were officially launched with a ribbon cutting performed by Waltham Abbey Town Mayor councillor Jeanne Lea and Essex County Council vice-chairman Eddie Johnson. The Mayor said “The new changing rooms are a much welcome addition to the town council’s facilities and will be much appreciated by the football teams which play on the adjoining pitch at the Larsens recreation ground.